Flipstart Days. Beginning 1st April is Flipstart Days that gives you a chance to shop for your favourite products while you continue to save. Flipkart is here with the Flipstart Days[1-3 April'19 with great offers on ACs, refrigerators ,air coolers, fans and more. 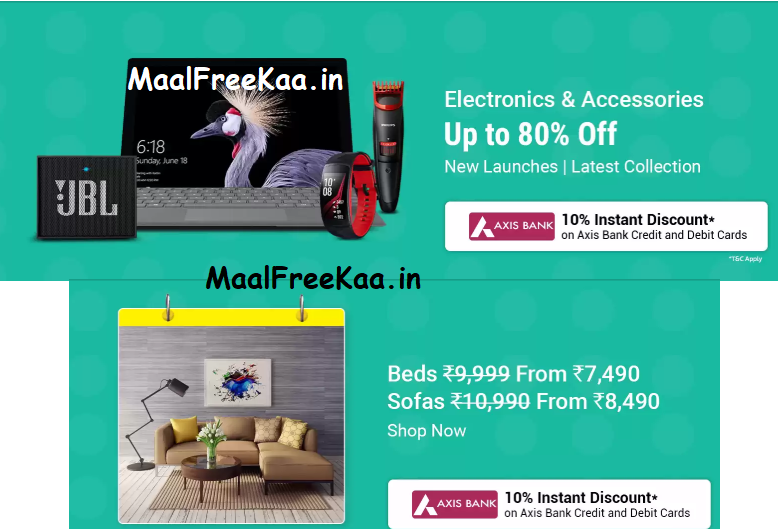 Get 10% Instant Discount* with Axis Bank Debit & Credit Cards. Also applicable on EMI transactions just start shopping and save your money this april 2019. Free Shipping for Flipkart Plus Members or Make cart value above 500 to avoid shipping Rs. 40. How to get this Deal Online E-commerce website Flipkart has announced 'Flipstart Days' sale on its platform. The sale has started today and will continue till April 3. Flipstart Days in at flipkart.